Offering different sizes of wakesurf boards to rent at all lakes and locations. We have several sizes of wakesurfers to rent; from trickster boards to long beginner surf boards. The shorter the board the more difficult to catch the wave behind the boat; but once you know how to wake surf a shorter board will allow you to improve your tricks; having a shorter board is easier to do most tricks with. For beginners it is much easier to have a long wakesurf to ride on giving more surface area for the wake of the boat to push. 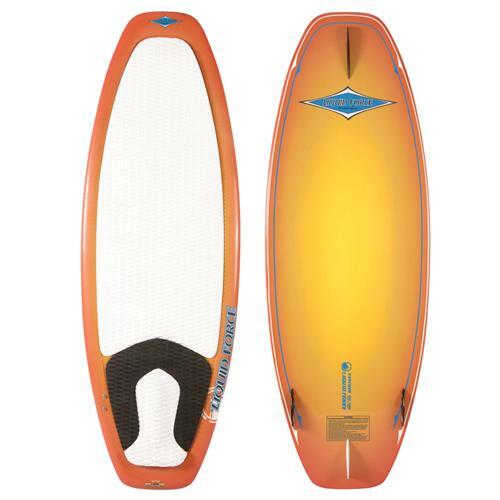 We carry some models of Hyperlite, Slingshot and Liquid Force wakesurf rentals. Our water toy rentals must be rented with a watercraft.